Walter Onnoghen’s resignation as Chief Justice of Nigeria was greeted with mixed reactions from senior lawyers, the Peoples Democratic Party and the ruling All Progressives Congress. Onnoghen, who was suspended on January 25 by the Federal Government for failing to declare part of his assets, tendered his resignation to President Muhammadu Buhari late on Thursday. National Judicial Council reportedly recommended Onnoghen’s compulsory retirement from service after investigating the allegations of misconduct levelled against him. 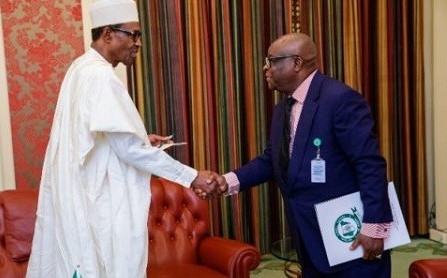 Although the suspended CJN’s spokesman, Mr Awassam Bassey, has yet to officially confirm his resignation, two Senior Advocates of Nigeria defending him at the Code of Conduct Tribunal confirmed to one of our correspondents on Friday that Onnoghen had reisgned. Bassey did not answer calls to his phone by one of our correspondents. He did not also respond to text messages sent to him. According to Awomolo, Onnoghen must have taken the decision following the recommendations of the NJC, which have yet to be made public. 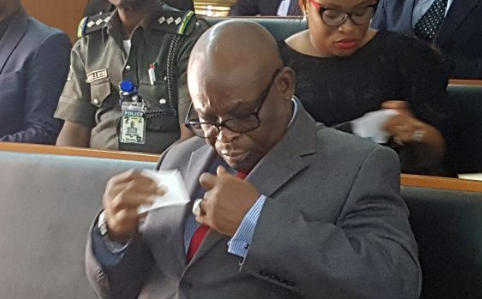 Mr Rafiu Lawal-Rabana (SAN), who led Onnoghen’s defence at the NJC, said although he had yet to speak with his client, he had confirmed that he had voluntarily resigned from office. “The man has voluntarily retired. Although I have not seen him or spoken with him, it is confirmed that he has voluntarily resigned,” Lawal-Rabana told The Punch late on Friday. Asked if Onnoghen’s resignation had to do with NJC’s recommendations, he said, “No, It does not have to do with it.” But he said he had “not seen the report by the NJC”. It was learnt that the Federal Government would require two-thirds majority of the Senate to remove Onnoghen from office, according to the Constitution. However, a Lagos lawyer, Mr Jiti Ogunye, described Onnoghen’s resignation as “appearing to be an afterthought and escapism”. The Federal Government on January 11, 2019 filed against Onnoghen six counts, including failure to declare his assets between June 2005 and December 14, 2016. The rest of the five counts bordered on the allegations that the suspended CJN made false declaration of his assets on December 14, 2016 by allegedly omitting to declare his domiciliary dollar, euro and pound sterling accounts as well as his two naira accounts, all maintained with Standard Chatered Bank (Nig.) Ltd. Onnoghen had pleaded not guilty to the six counts. Reacting to Onnoghen’s resignation, a former President of the Nigerian Bar Association, Mr Olisa Agbakoba SAN, told Saturday PUNCH that Onnoghen could have decided to call it quits in the interest of the judiciary. He said, “Without judging whether the CJN was right or wrong, because I cannot speak on that, I think it has come to a point where he would have decided that in the interest of the judiciary as an institution, it was better that he removed himself. Agbakoba said even though some people would suggest that he should have resigned earlier. While expressing sadness over the matter, another SAN, Prof Awa Kalu, said he had no doubts that Onnoghen’s resignation was inevitable. But the Chairman of the Presidential Advisory Committee Against Corruption, Prof Itse Sagay (SAN), described Onnoghen’s resignation as “embarrassing and shameful”, saying he ought to have left as soon as the allegations were raised against him. However, another SAN, Dr Babatunde Ajibade, said it would be premature to comment on Onnoghen’s resignation without knowing what the NJC recommended after probing the corruption allegations against him. The PDP said Onnoghen decided to resign because the FG was frustrating him. The Deputy National Publicity Secretary, Diran Odeyemi, also said the development had created bad image for Nigeria. Odeyemi said, “It is a pity that the FG has frustrated Justice Onnoghen out of office therefore achieving a premeditated plan against the topmost hierarchy of the judiciary. Nigerians obviously have not heard the whole story of why Onnoghen is being persecuted. But we are sure that very soon the fear of the APC government and the reasons behind the orchestrated plan will be revealed.